A simple idea where a group of random objects are displayed on a tray for a limited period of time and then the clients try and recall what the items were. It worked really well in teams (ie. tables) so I've modernized it with a PowerPoint presentation. Congratulations to Liza and Fernanda. We do this one in Scouting. It is called Kim's Game and was invented by Baden-Powell from the work of Rudyard Kipling. If you read "Kim" by Rudyard Kipling Chapter 9 you will learn what Kim's Game is. Baden-Powell thought that it was a splendid game for developing observation in Boy Scouts. 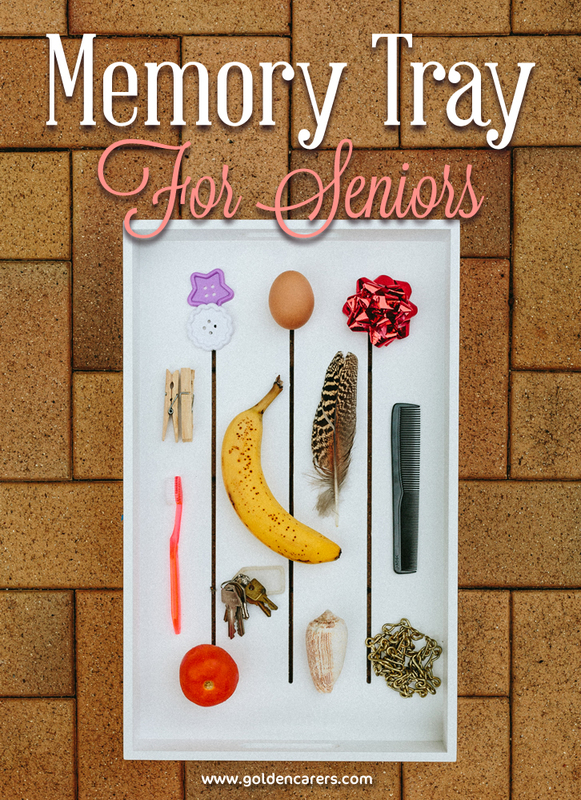 There are many forms and it can be developed for Seniors with memory deficits, even dementia. See any Scout manual and it will be part of a Scouting activity. I have done this in our PAG and modified it to assist those with memory deficits. All the items I place on the tray start with the same letter. An example would be 'S'.....stapler, piece of string, sticky tape, scissors, swizzle stick, salt shaker, packet of seeds, shell, rubber snake, spoon. 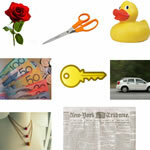 The choice of items can lead to reminiscence and at times lots of laughter. If you have powerpoint installed this file should work for you . Unfortunately the PowerPoint file didn't go through - I'm working on it. What a wonderful activity Liza, thank you for sharing! I have added the powerpoint and pdf.